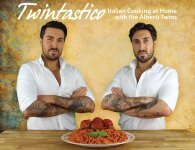 The author takes a photographic approach towards unraveling the history and legacy of Italians and their presence in America. Examining more than four hundred unique photographs of Italian families, settlements, businesses, and celebrities, Scarpaci celebrates the ways in which this ethnic group has influenced many aspects of American life, including arts, agriculture, industry, religion, cuisine, sports, and politics. Beginning in the late 1870s, this work illustrates how the immigrants and their descendants faced the hardships, disappointments, achievements, and successes of this ongoing experience. 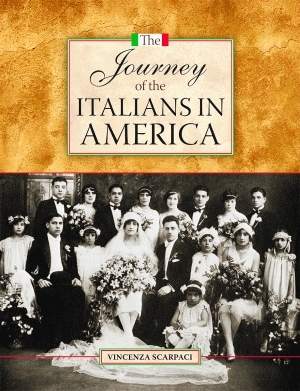 With photographs from settings as diverse as a canning factory in Salerno to an Italian family’s kitchen garden in Kellogg, Idaho, to Italians living in the French Quarter in New Orleans, Louisiana, The Journey of the Italians in America traces the evolution of the Italian immigrant of the 1800s into today’s statesman, scholar, movie star, Supreme Court justice, or businessman. As much a history of Italian influence on America, this work is also a history of American influence on Italians, as Scarpaci makes plain through evaluating the differences among generations of Italian Americans. An enduring study of ethnicity in America, this chronicle is a timely contribution to the discourse on immigration in the United States and will certainly be appreciated and enjoyed by all Americans. Brooklyn native Vincenza Scarpaci is a writer and teacher. She graduated from Hofstra University in New York in 1961 with a bachelor of arts degree in history and went on to obtain her PhD in history from Rutgers University in 1972. She has worked as a consultant, grant writer, and volunteer coordinator in addition to her considerable teaching experience at the university level. Her work has been published in journals and encyclopedias across the globe. She resides in Eugene, Oregon.